The Intersection of Github… and Babylon 5? Back in the 1990’s I was a huge fan of the show “Babylon 5” for a great number of reasons. It remains, to this day, one of the best series I’ve ever watched on TV and I greatly admire the creator/writer, J. Michael Straczynski, for the narrative arc he used over the five year run of the series as well as the overall “universe” he created. 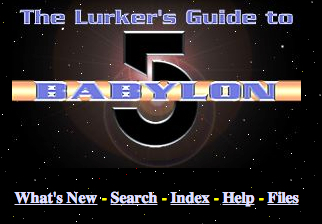 One of the web sites that those of us who enjoyed Babylon 5 frequently used was “The Lurker’s Guide to Babylon 5“. The pages there helped in the understanding of how all the pieces fit together and frequently offered glimpses of what was coming ahead. It was a great tool and reference source. It’s very cool that site creator Steven Grimm has made his site publicly available via Github. As he notes, others can now fork the code, send him updates via pull requests, etc. It is also a great example of how I’ve told people that Github, and git in general, can be used for so much more than simply “source code” and that you don’t need to be a programmer to use it. This entry was posted in Github and tagged Github on March 10, 2014 by Dan York. This server has received 5726980 hits from both ipv4 and ipv6.